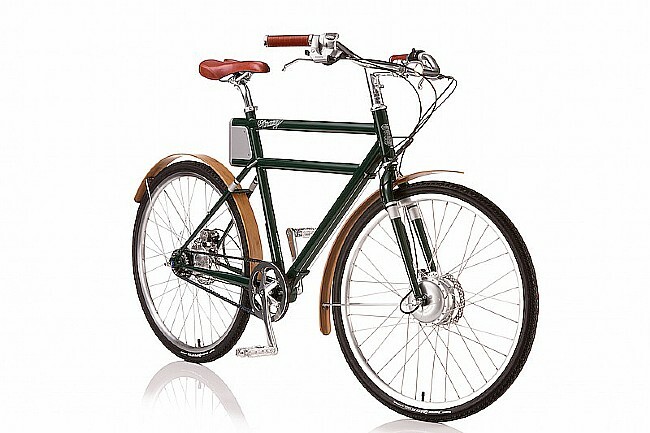 The Faraday Porteur Electric Bicycle is their award-winning original. Steam-bent bamboo fenders, a Gates belt drive, and smooth-shifting Shimano Alfine 8 drivetrain make this their finest electric bike. Frame Material: Custom chromoly steel. Charger: araday standard 2A charger (110V-240V, 3hr. charge time). Shifters: Shimano Alfine 8 RapidFire Plus, 8-Speed. Rear Derailleur: Shimano Alfine 8-speed internal hub. Crankset: Faraday Forged Aluminum with Gates CDX CenterTrack Sprocket. Brakeset: Tektro Vela Hydraulic Disc Brake. Handlebar: Faraday 6061 Aluminum 25.4. Tires: Continental Contact, 26" x 1.75". 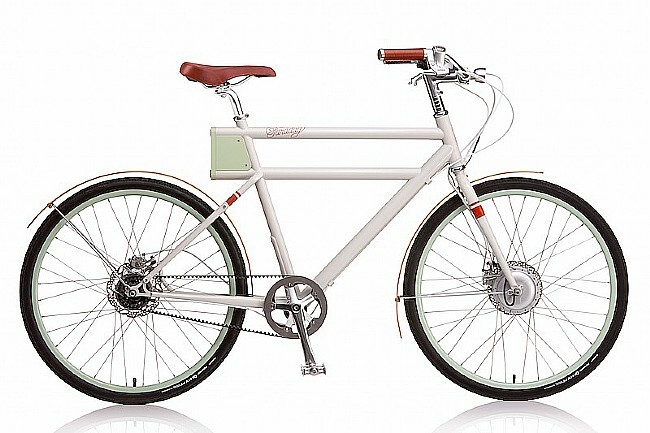 Manufacturer Warranty: Frame – Lifetime; Battery – 2 years or 500 complete cycles; Electronics and parts – 2 years.